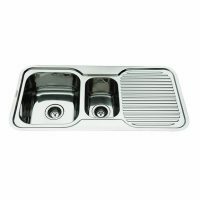 The Sydenham Single Bowl Sink boasts a modern design which will complement the looks of any kitchen. 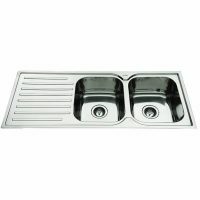 Featuring a single bowl with a brilliant stainless steel finish, the Sydenham Single Bowl Sink comes available in a left or right hand configuration. Furthermore, it can easily be installed in standard as well as modular kitchens. This smart looking kitchen sink will perfectly blend in with your cabinetry and décor. The Sydenham Single Bowl Sink is as practical as it is stylish. 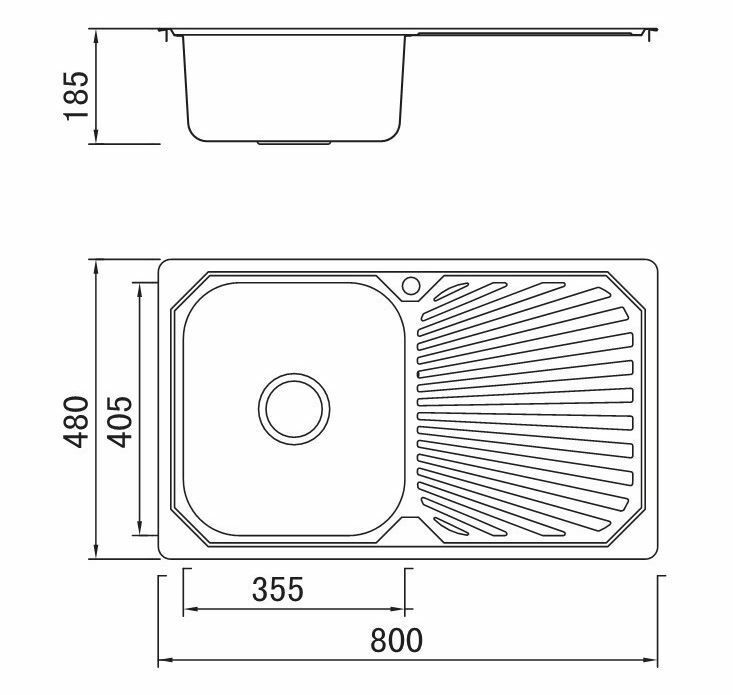 It measures 800x480x185mm and includes a drainer and a basket waste. 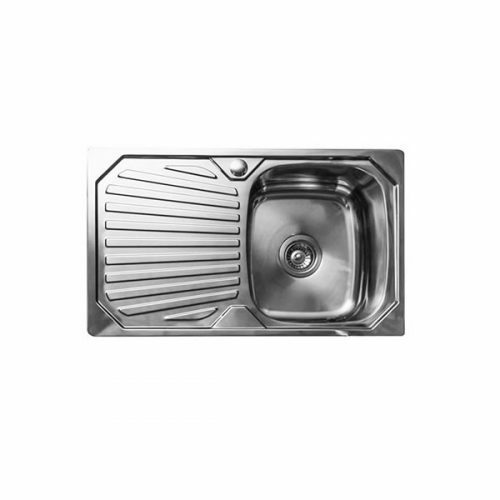 The stainless steel bowl is soundproof and features a punched tap hole with reinforced tap landings for extra strength. You will enjoy many years of service from this heavy duty kitchen. It has been manufactured using top grade stainless steel which is 0.8mm thick. As a mark of quality, this product is backed by a solid 10 year warranty on the sink and a 1 year warranty on non-metallic parts of the unit. Improve the appearance of your kitchen whilst simplifying your kitchen cleaning duties thanks to the Sydenham Single Bowl Sink. 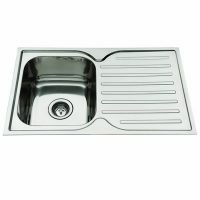 Buy this popular kitchen sink at an unbeatable price today at Ross’s Discount Home Centre!